We love supporting Cornish jewellers and when we saw Lucy had launched her sea glass business, we were keen to find out more about it! 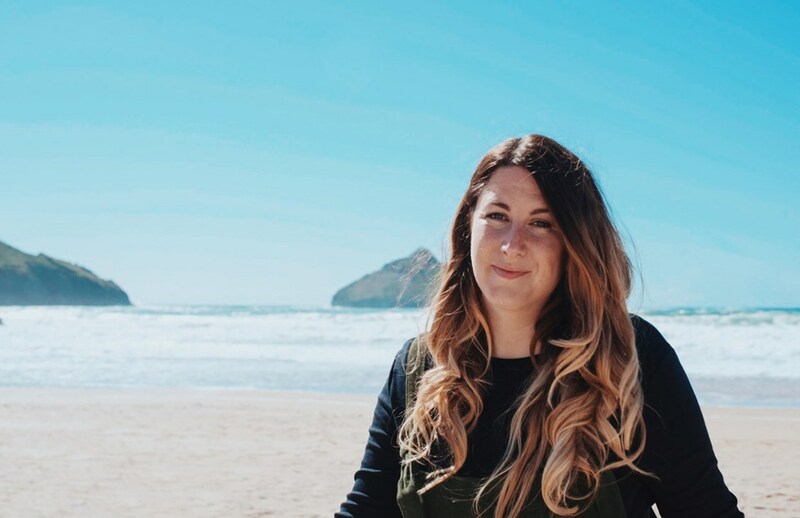 In this Meet The Jeweller feature, Lucy shares with us how life in Cornwall has inspired her designs, how jewellery making allows her to switch off from her busy lifestyle and her advice for those wishing to start their own handmade business. Lucy often comes to visit us at our counter service in Perranporth, Cornwall and we feel very proud that she chooses to support a small business like us for her jewellery making needs. 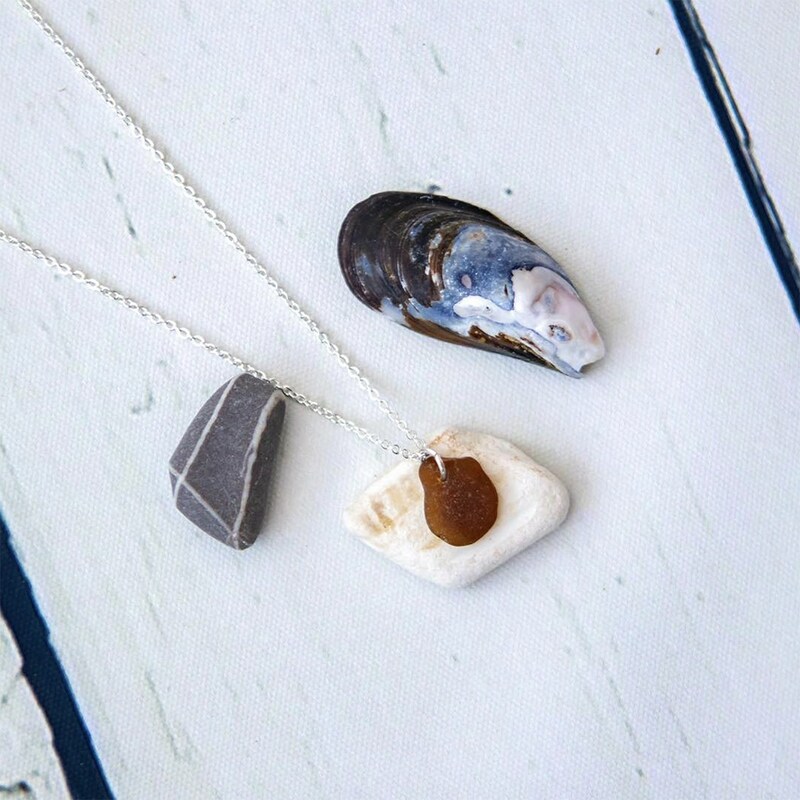 Find out Lucy's favourite Kernowcraft supplies below and be inspired to make your own sea glass jewellery! Read more interviews in our Meet The Jeweller blog series here. Hi Lucy, tell us a bit about yourself! I am a local girl who has grown up in Cornwall and have always be drawn to the ocean. Whether that be a stroll across the beach with the dogs or getting in the ocean itself. It is ultimately the dog walks on the beach that drew my inspiration to making jewellery. 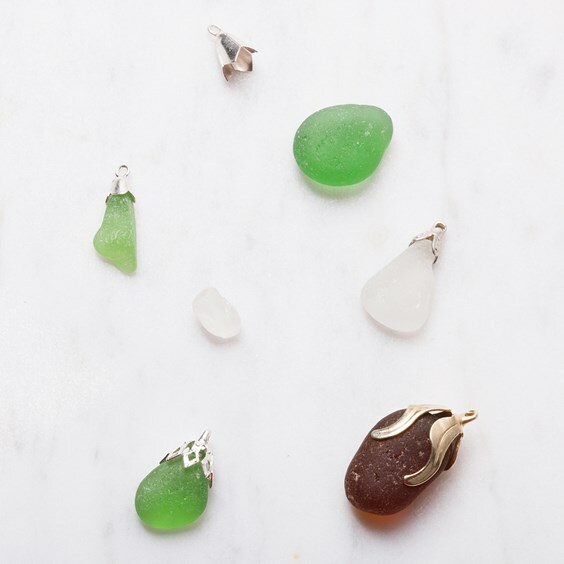 I would often stumble across sea glass on the beach and I became obsessed with collecting as much as I could. It became so exciting to explore new beaches all around Cornwall to see what treasures I could find. Tell us about the first time you tried jewellery making and what you loved about it! The first time I made jewellery I was only a little girl. I was with my nan at the time, she was always so creative and artistic, so she was always making things. I remember her setting out all these fascinating beads from an old rusty tin. It was full of different shapes and colours. She would sit there and show me all these fantastic little pieces then let me get creative and make stuff out of it with her. 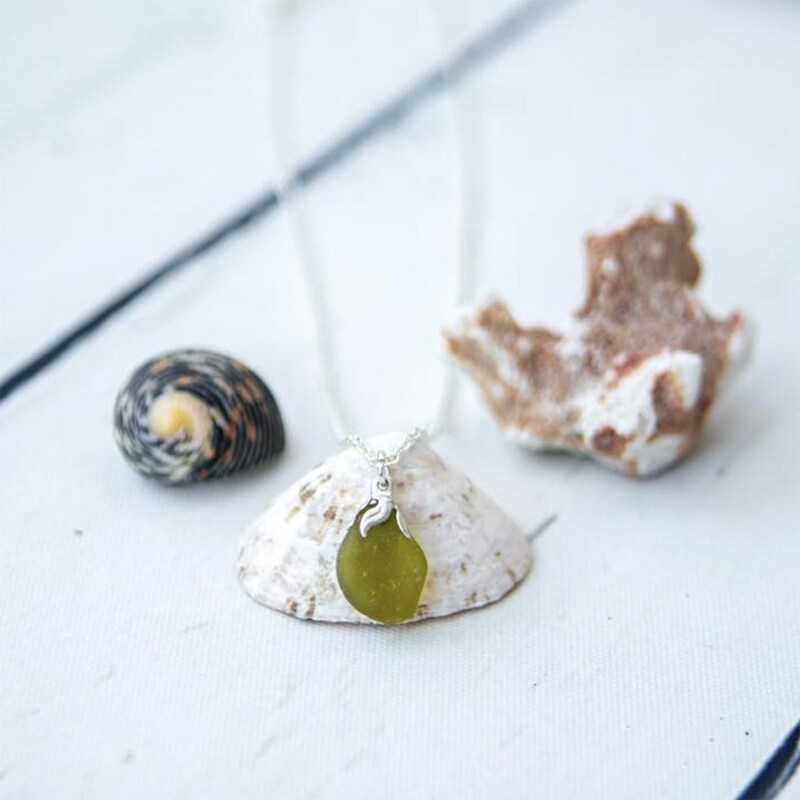 What’s your favourite thing about using sea glass? I adore how raw the material is and that it has been re-created by the ocean to have a new life as something else. I love the range of colours you can discover and that everyday new pieces are revealed. Each with its own mystery of its origin, never knowing where that piece sea glass came from or what it once could have been. I truly feel like it is a little gift from the ocean. 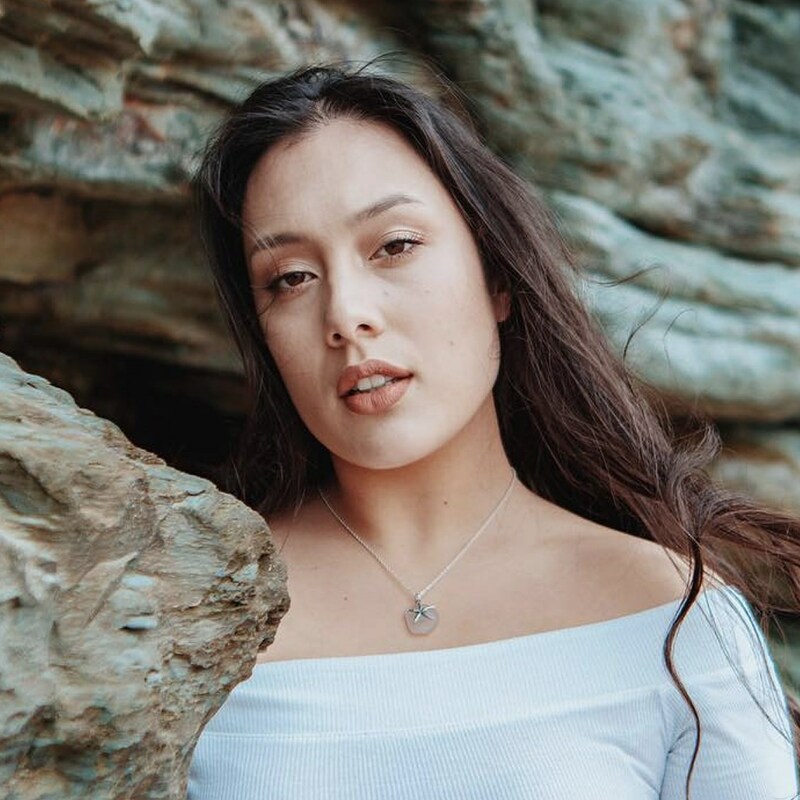 Congratulations on the recent launch of your jewellery business, tell us more about the process to getting to this point. For about a year I have been creating small pieces of jewellery for myself never really having the confidence to launch it. With the support and love from my other half I finally made the jump. I did a lot of research and watched a lot of tutorials, I started making jewellery for friends and family and it has organically grown from there. What advice would you give to a hobbyist wanting to take the step to sell their jewellery? I would advise them to just go for it! I wish I had a long time ago. Find your own creative style and stay true to that, and no matter how silly you might think a creation will look if you are inspired to make it then go for it. Tell us more about having ambassadors for your jewellery business! I love the girls I have as my ambassadors. It's such a nice way to capture the true beauty of your work on such talented models. It is a great way for people to see what your products look like in real life as well and not just in a studio setting. For me, it is very important to have ambassadors who share my vision. As a nurse, photographer and blogger, what’s your top tips for time management? To be honest I’m not really sure, I have to write everything down and allocate time for each thing. But for me making jewellery is my way of relaxing and switching off from the hectic day-to-day stresses. I am lucky to live where I do and have jobs that I love, if you love every element of your life it's always a pleasure. Describe Love Kernow Jewellery in 3 words! If I’m not working at the hospital or doing photo shoots, I wake up slow and do a short session of yoga to get me going. I then attend to my animals and head down to the beach with the dogs and start the sea glass hunt. If I have jewellery that needs photographing then I will try and get into the studio to get creative and shoot. My day finishes by unwinding and spending quality time with my other half whilst having pooch snuggles on the sofa. How does living in Cornwall inspire your designs? I am inspired daily by the changes of the rugged coastline and the seasonal changes. I also adore the changing colours of the plant life. At the moment I am obsessed with the yellow gorse against the blue seas. What are your favourite beaches in Cornwall for finding sea glass? 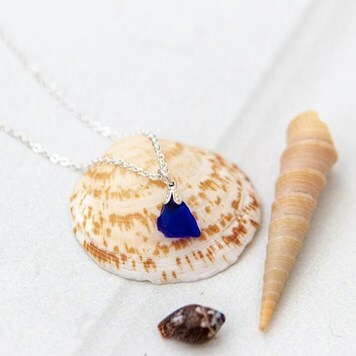 I don’t actually have any particular beaches that are my favourite as I am pretty lucky to find beautiful sea glass on most beaches I go to. I think it is a case of spending the time to look and discover pieces. 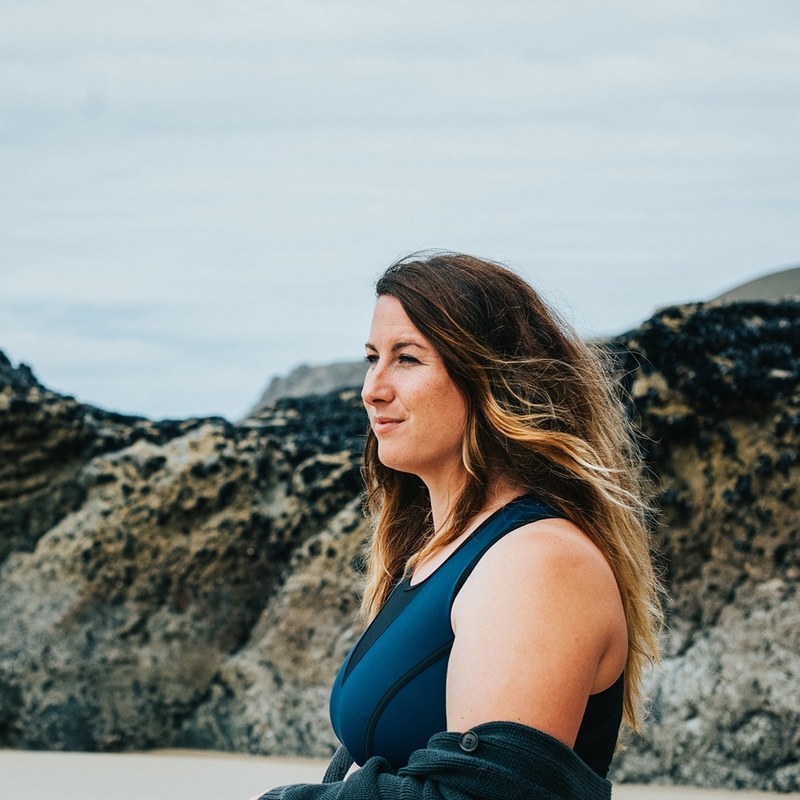 Who is one Cornish creative everyone should be following right now and why? I am obsessed with Sadie Jewellery. She is such a talented jeweller and is so creative, you can see how much passion she has in every piece she produces. Top 3 favourite Kernowcraft supplies and why! These were the first materials I used when I started working with sea glass. It helped me gain confidence to move on to the next steps. 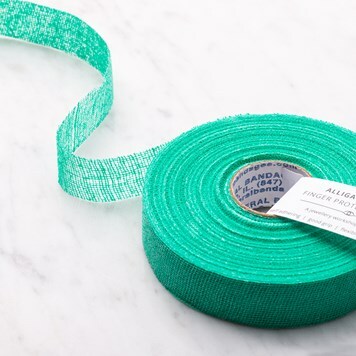 This stuff was a game changer for saving my fingers. This allowed me to create so much more by actually being able to drill though my sea glass. Get all the supplies and more advice you may need here. What’s your top tip for taking jewellery photos? Good lighting and composition is key. I shoot with a Canon camera and use my 24-70mm lens to get up nice and close to my jewellery. Get creative with how you present you jewellery and try to show your personality and style through you props. Its not all about the expensive equipment and studios to capture nice shots. Get creative with whatever you’ve got. 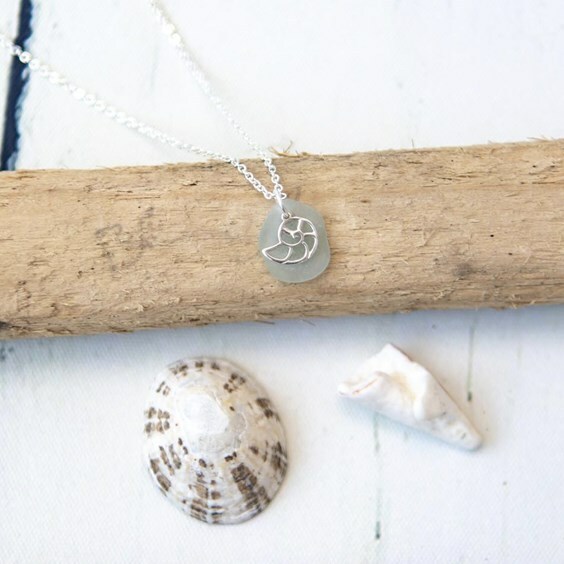 I am about to learn the art of silverwork, I can't wait to explore how I can personalise my sea glass range more with recycled silver. You have always been a wonderful supporter of Kernowcraft, why would you recommend us as a supplier? For me I love to use Kernowcraft as I'm very passionate about promoting local Cornish businesses. You guys have always been so supportive and are always on hand to help, you go above and beyond. 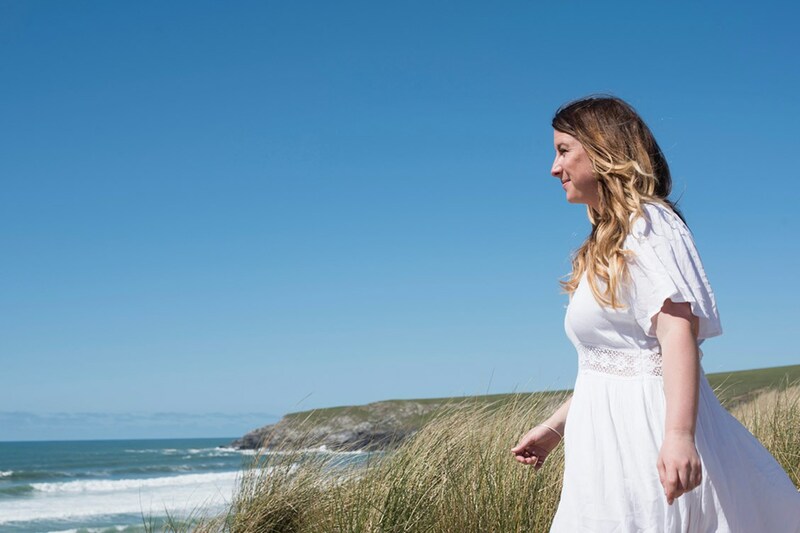 What can we expect from Love Kernow Jewellery over the next year? I am certainly looking to add more pieces to my jewellery range. 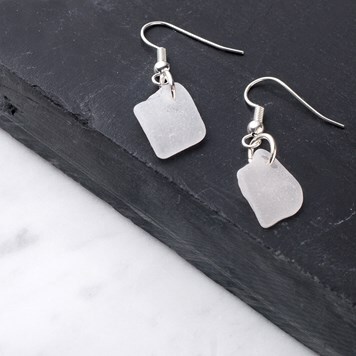 To add a lot more silver work to my sea glass range and to dabble more with sustainable materials. At Kernowcraft, we have a beautiful range of sterling silver and plated bell caps for your jewellery designs where you can adjust the claws to fit around your chosen stone. They are perfect to use with small tumbled polished stones, sea glass and raw crystals. We recommend using our Devcon Epoxy glue to secure your stone into the setting. 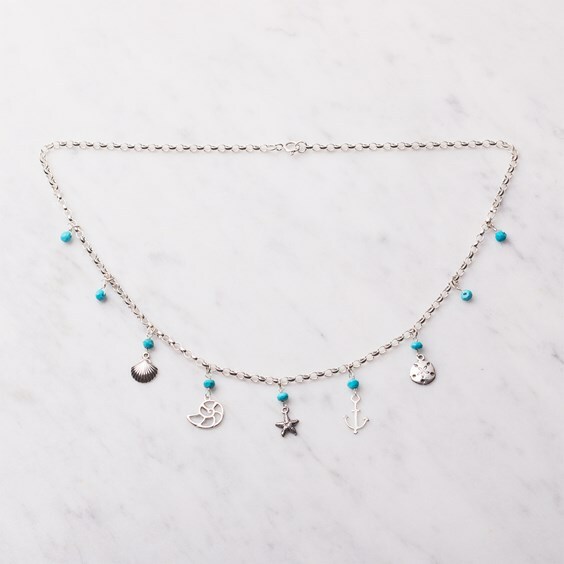 We love using charms in our designs! They are such a fun way to add some personality to your designs. 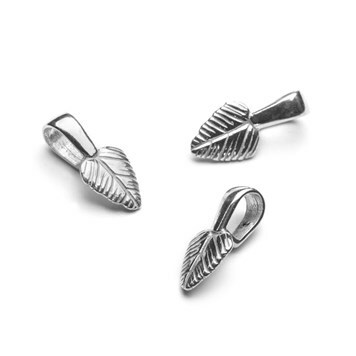 Discover sterling silver, vermeil gold and paua shell charms all waiting to be made into something beautiful.